I love fashion, I love exploring different ways to wear a certain item and have it look different each time. I love it when with the right pair of heels, you can feel like you can take on the world! That's why I wanted to create a post about my wardrobe essentials that I can't live without and hopefully you'll gain some inspiration and seek out to find something that YOU can't live without! 1. 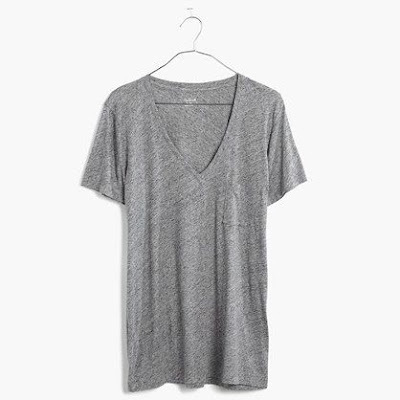 The first item I want to talk about is basic t-shirts, in particular, V-Necks. They can come in all sort of colours, black, white, nudes, grey, stripes and so on. I think a v-neck t-shirt paired with your favourite jeans, stylish sunnies, messy tousled hair, and a bright lipstick for a pop of colour can look effortlessly chic! It is a very handy staple to have on hand! 2. Another "form" of shirt I want to talk about is a striped button down shirt. It is a very classy and elegant way to add flair/style to your outfit. So many celebrities and well-known fashion bloggers wear it, it also very comfortable to wear and easy to put together in a flash! 3. Jackets! 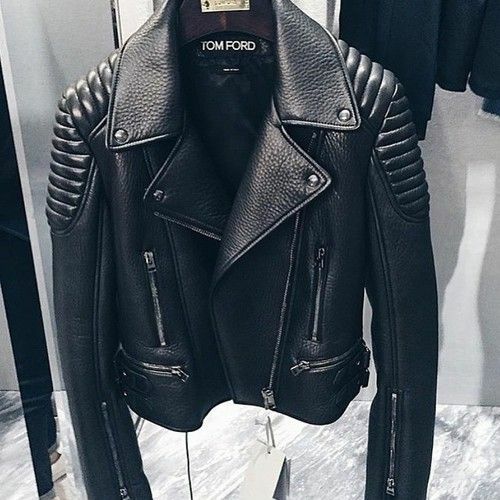 We can't forget about a good leather jacket! I personally think leather jackets can ooze sexiness and confidence while giving your outfit a great style statement! I love leather jackets with gold trims or silver trims, they can go with any outfit, with a simple tee and jeans, a little black dress, a maxi dress, the list is endless! 4. 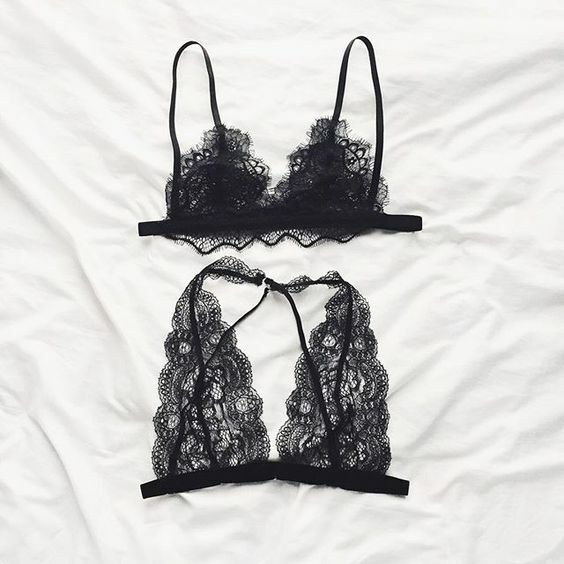 A lace bralette is such a pretty and feminine touch to add to your outfit. I love wearing these when I'm wearing a low-cut shirt or dress, enough for the bralette to peek through, or if the shirt has a large gaping arm "hole", you can see a little bit on the sides. It is just so lovely to wear and a little bit cheeky. 5. 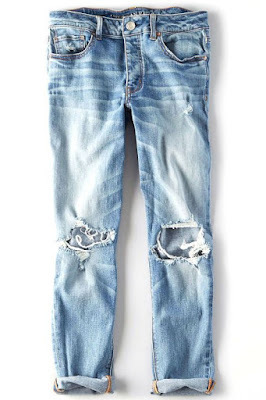 Any friends or family of mine will know that I love wearing my boyfriend jeans all the time! They are so comfortable to wear for a casual occasion! You can easily dress it up with a pair of heels and a nice shirt or dress it down with (once again) a v-neck shirt or a button down shirt! There is honestly endless ways with what you can wear with it! 6. Lastly but not least, a good pair of sunnies! I think smart looking sunglasses can really add interest to your outfit and bring it from drag to fab! Even with just a simple gym outfit, it can make you look more put "together". 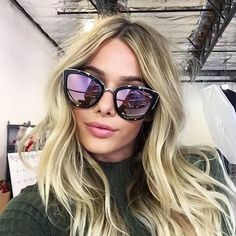 I have a lot of reflective sunglasses, such as Quay 'My Girl' sunnies, I think they are really cool to wear and I like the oversized shape to the sunglasses. I hope you enjoyed reading and taking a little sneak peek at my style and what I like to keep in my wardrobe for those days when I don't want to spend too much time on deciding an outfit! I think it is important to have a nice selection of basics on hand! Do you have a staple item in your wardrobe that you can't live without? Comment below, I would love to know!